The Yilmaz-Akyürek Prize in Osnabrück is awarded annually to foreigners who help other foreigners integrate in Germany. The prize is named after the Turk migrant who came to Germany in 1967 and was well known in his involvement with foreigners in Osnabrück. He died in 2007. The prize aims to recognise the dedication of foreigners. 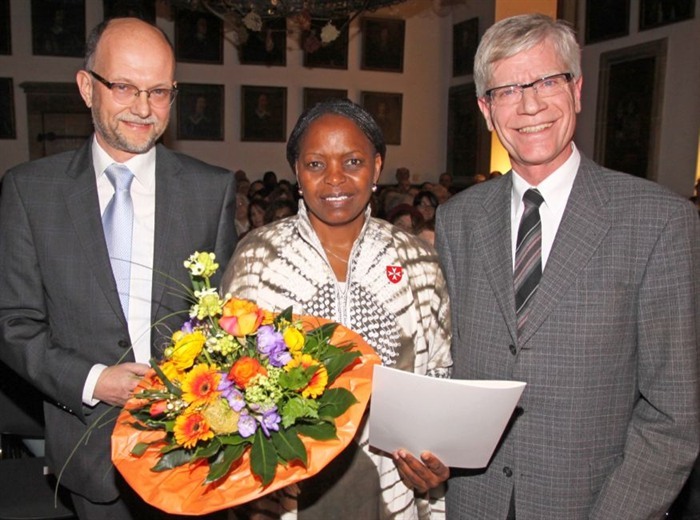 This year’s award was awarded to a Kenyan, Catherine Flohr (read: Kenyan Receives the Yilmaz-Akyürek-Preis). The award will be awarded again next year for the sixth time as it is done annually. Here’s your chance to nominate someone you think has been instrumental in helping foreigners integrate into the German society as well as helped to fight for the foreigners’ rights. The award includes €1000 cash gift to the winner and will be presented by the Mayor of Osnabrück , Wolfgan Griesert. The winner will be chosen at the discretion of the city council of Osnabrück.